An advisory committee created to help the federal government frame a national policy on zero-emission vehicles held its final meeting in mid-September, no closer to definitively answering the question of what government should do to boost sales. 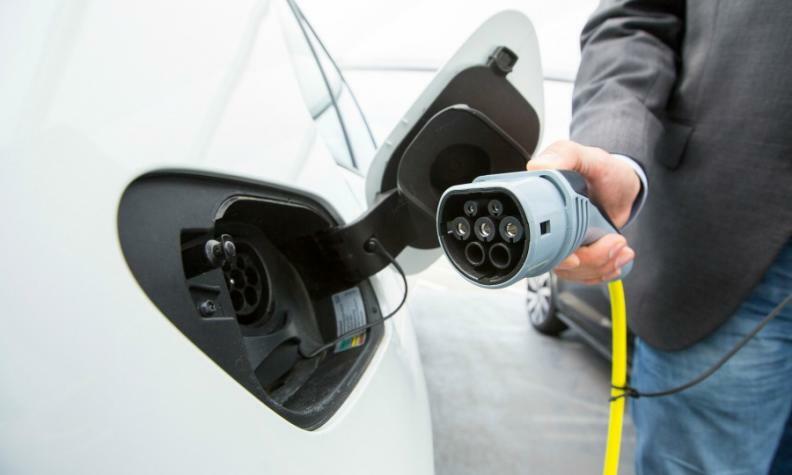 There was a lot of good will around the table in Ottawa, participants told Automotive News Canada, and agreement on some points, such as boosting public awareness that ZEVs are a practical reality. But whether more incentives or mandated sales quotas or some other carrot-and-stick approach is best remains unresolved as the review now heads for a round of consultation among senior federal and provincial officials. A policy announcement is expected next year. “The conversation went surprisingly well, given the disparate points of view or disparate starting points at the table,” said committee member Ian Jack, the Canadian Automobile Association’s managing director of communications and public affairs. The committee was comprised of almost two dozen experts. It includes federal, provincial and territorial officials, industry stakeholders and academics. Working groups submitted reports by the end of July on five areas: Supply, ZEV ownership cost-benefit, technology, charging and refuelling infrastructure and public awareness. The committee was never intended to reach a consensus on which approach Ottawa should take. But there was “a fair amount of alignment” on all useful elements for enhancing EV sales, said Canadian Vehicle Manufacturers Association president Mark Nantais, one of the auto industry’s representatives on the committee. There was, for example, unanimous agreement on the need for a stronger public awareness campaign to give potential buyers a better understanding of EVs as a practical alternative, said committee member Al Cormier of McMaster University’s Institute for Transportation and Logistics. But the central questions of how and to what degree government should step in to increase the EV adoption rate remains divisive. If Ottawa adopts one option under consideration, a mandated sales quota for ZEVs similar those in some U.S. states and headed for implementation in Quebec, it’s going to get pushback from the auto industry. Automakers and dealers see such quotas as unworkable with the current level of EV development and model choice. Transport Minister Marc Garneau seemed to rule out a sales mandate when announcing the review. But it remained part of the process and had champions within the committee. Electric vehicle sales are growing but still amounted to less than one per cent of a 1.9-million-unit retail market in 2016. Consumer incentives are not doing enough, so more needs to be done to increase supply and availability, said committee member Suzanne Goldberg of Simon Fraser University’s Sustainable Transportation Action Research Team, Simon Fraser University. “We see that as one of the biggest gaps in the policy arena today,” she said in an interview before last week’s meeting. Ontario Transportation Ministry spokesman Bob Nichols said the province is monitoring the Quebec mandate, requires automakers to generate credits equal to 3.5 per cent of sales for model year 2018, rising annually – and working with them towards a five per cent target for ZEV sales by 2020. Ontario is one of three provinces — Quebec and B.C. are the others — offering consumers EV incentives. Its program includes modest voluntary sales targets as a prerequisite for OEM participation. Federal officials who attended last seek’s meeting are said to have been keenly interested in Ontario’s approach. The issue is embedded in a larger debate on the pace of ZEV adoption and the level of intervention it could need, said Jack. The more ambitious the targets, the more intervention required. “The endpoint that you pick has a cascading effect on what you need to do to get there and how tough you need to be,” he said. There is no consensus on EV sales targets and division remains on whether a voluntary or regulatory approach is better at achieving them. The auto industry favours broadening consumer-level incentives, both financial and non-monetary, such as preferred parking, lower registration fees and access to high-occupancy vehicle lanes, while boosting public awareness. Committee member David Adams, president of the import-oriented Global Automakers of Canada, agreed. Expand the range of incentives and increase the public’s understanding that driveway-ready EVs are available now before resorting to quotas, he said before the meeting. Jack said the CAA also does not favour implementing a Quebec-style mandate nationally, preferring incentives and education to broaden acceptance of EVs while spurring industry to speed technology development and expand the range of model choices. Eventually EVs will achieve price parity with internal-combustion vehicles. “I think there was wide acceptance around the table of the industry point of view that they are planning now for four or five years out, so you can’t impose anything on them looking out just a couple of years,” said Jack. Meanwhile, better outreach to bust myths about range and practicality might get more bums in seats of today’s offerings. The timetable for the Liberal government to roll out its ZEV policy remains unclear. Ottawa will want to see how it fits into Canada’s broader greenhouse gas reduction goals, what’s viable for provinces and territories and how much taxpayer money should be committed. But Jack doubted it will drag its feet. “From the federal point of view the climate-change strategy is a fairly high priority and it would be astounding if this government didn’t have something in place before it goes to the polls in 2019,” he said.